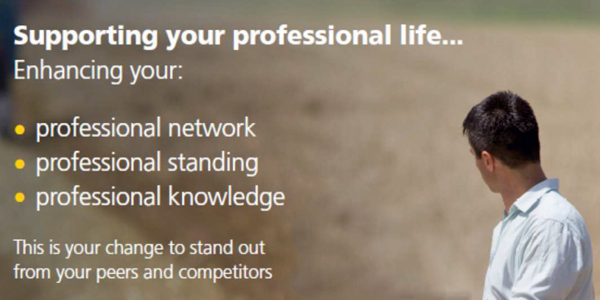 As an IAgrE member you will be able to access a broad range of services to help develop your career. From designatory letters after your name and professional registration such as EngTech, IEng, CEng, and CEnv and opportunities to gain recognition through awards, certificates and recording of your professional development; these are all features of your membership. Only good quality and current knowledge will help you in your career. IAgrE knowledge is from the best and it's quality can be assured. Whether looking for web access of hard copy, we have it all - and if we don't know, one of our members will! Where else will you find all of this in one place? At IAgrE we are always looking for features and benefits to help offer you value for money. With discounted access to services which will help you in your career through to fun things such as cinema tickets and prize draws, we support you in every way we can. *the IAgrE can accept no liability whatsoever to any Member (or to any other person) in respect of the schemes or in respect of any advice a Member may be given or security of the insurance under the schemes or of any money a Member may pay in respect of these.